Do you ever get those moments where you see something online, think to yourself that you’re looking at something that you really need and go ahead and purchase it under the assumption that you’ll have your item in a few days and everything would be just fine? Well, that’s exactly what happened when I decided to purchase a TV from Beyond Television. I was looking at the model I wanted, it even had free delivery, so I went ahead and made my purchase. Their website allowed me to book a delivery date, so I picked the 8th of September, and settled down to plan what I would do with my purchase. The 8th September arrived, my wife spent the day at home .. but no TV. No problem, I dropped them an email to find out what was going on, but they phoned the next day just as the TV arrived on our doorstep. All was great, I had a friend coming over a few days later to help me put it up so we left the TV all boxed up. The screen was cracked in a number of places. 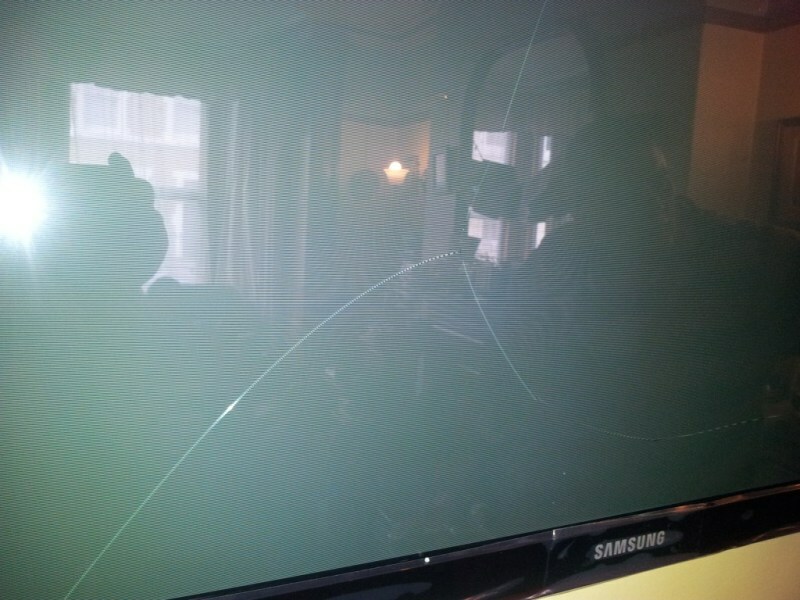 It looked like it had suffered a blow or pressure to the centre of the screen as well as a pressure fracture in the top right hand corner. I was annoyed but not too perturbed as I was sure Beyond Television would put things right in a few days. How wrong I was! Wednesday 14th – Sent email to Beyond explaining the situation and requesting a replacement. Thursday 15th – Received stock email from Matt outlining their returns policy, but no real action taken, so I phoned him up and was told he would look into replacement. Friday 16th – Phoned at lunchtime, but Matt on a call, so I left my details for him to call back. Phoned again after a couple of hours, but Matt was still unavailable, left my details again. Phoned a third time at 5:30 and spoke to Matt who told me he hadn’t managed to find which of their two couriers delivered it and that I would have to wait till Monday for him to start processing the return. He would call me as soon as he sorted it in the morning. Monday 19th – Phoned at midday. Was told Matt was out of the office, would return in 10-15 minutes. Phoned at 1:45 .. Was told Matt was still out, would get back to be before 14:00. The girl I spoke to promised to call me back at 14:00 if he wasn’t in, but she never did. Matt called at 14:30 and promised a resolution by 5:00pm. Matt called at 5:45 where it was decided that he would refund the broken TV while we purchased a new one. So at this point we’ve been almost a week without our TV, had been chasing Beyond Television for days, but it looked like there was light at the end of the tunnel … So we proceeded to reorder the TV off their website, and I actually called Matt on Tuesday to give him our order number where he confirmed it all looked fine and that he had booked the collection for the broken TV. On Wednesday, exactly one week since I emailed Beyond Television with my problem, I receive an email from Matt informing me that to ship my replacement TV I would have to pay the courier charge of Â£87.88. As you can imagine I was flabbergasted. I immediately called him up and got told that although Beyond Television had covered the courier charge for the first TV, they would not cover it for the replacement. I argued that this was against what they said in their Terms and Conditions, went against Consumer Protection legislation, but he blankly refused to ship the replacement unless I paid the charge. At every juncture he kept repeating that most customers cancel their order when they are told of this charge, which I interpreted as them being unwilling to deal any further with my case. At this point, I was sick of his rude behaviour; tired of all the delays, so I cancelled my order, bought a TV from Amazon and had it hanging in my living room 3 days later! That was not quite the end of it of course. Beyond Television still have the money I paid them, not for 1 TV, but for 2 (one of which STILL hasn’t been collected and is waiting broken in my living room)! I emailed them this week asking for a refund and was informed I would receive it in a few days. I’m pretty sure I wouldn’t have received any refund unless I asked for it. It’s been a frustrating experience, but also an eye-opening one. The Internet is a great equaliser amongst online retailers and customer service is pretty much the only differenciator between one company and another. My experience with Beyond Television indicates that some companies still don’t get it. Poor customer service will kill them in the long run and while I wish them all the luck they deserve in the future, I for one, will never try to buy from them again, and I will certainly warn others about my experience there. This is an incredible story Owen. I hope you get your money back. Thanks for sharing to warn others. Yeah, it was horrid, though I’m pleased to report that I have finally got my cash refunded, though it wasn’t before I had filed a claim with my credit card company! 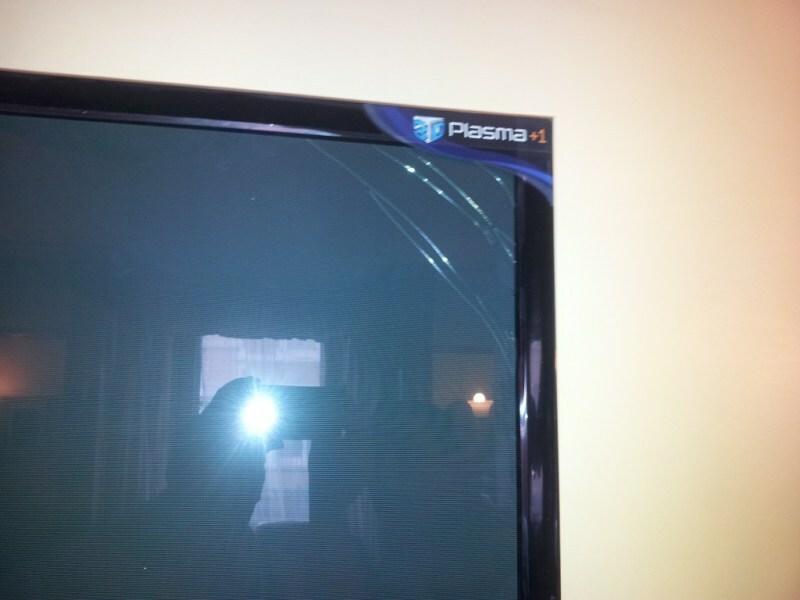 I bought a new TV from Amazon instead, received it 3 days later and had absolutely no issue at all! Owen, did Beyond Television react or respond to this blog post or any of your tweets on the subject? Nope! I did tweet to their account about this post, but no online response. Even email conversation was really terse. When I finally got my refund I got an email from one of their “customer care” staff. There was no logo on the email, no mention which company it came from. I had to look at the email headers to figure out what refund they were talking about! Glad that chapter is over!